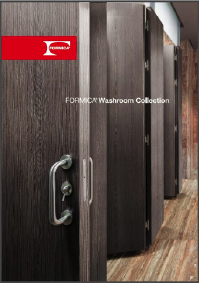 Bridgman together with the North Shields based manufacturer Formica are pleased to be a stockist of the New Formica Washroom range. The new range will be available in 12 x 5 and 10 x 4 sheets sizes from November. The range features innovative decors and three new finishes which is perfect for “mixing and matching designs.” The Formica range has 52 vibrant colours to choose from. To obtain a swatch or brochure , please contact technical support on 01429 230880 or email c.best@bridgman-ibc.com for further details.